A great week it has been indeed and feedback on the show has been incredible. 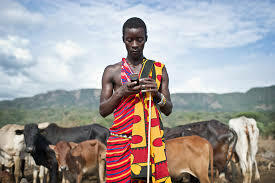 Sub-Saharan Africa has the fastest-growing mobile market in the world, increasing at an average of 44% annually since 2000, according to the worldwide mobile communications industry association GSMA. The continent is also home to a quarter of the world’s fertile land. 80% of this is not being utilised and of the 20% that is, the majority is owned by poor smallholder farmers. I spoke to Senyo Worlali, Business Development Manager for Farmerline, a social enterprise about some technology solutions they offer to farmers. All across the world, the health sector is being transformed by technology. In Ghana and in most rural areas, actually even in the urban dwellings, a trip to a doctor or for a check up comes with too many complications. If you need to see a specialist, this means a referral, another long journey and probably a lengthy wait. A group is trying to make this situation much better. The group is called the Grameen Foundation and i caught up with the man in charge of the technology and innovation at the foundation, David Hutchful, to get a clear sense of where we are regarding the Ghana’s health care delivery system and its relationship with technology. Awo Apaloo serves you ‘Moneygraph’ and ‘Swiftkey Clarity’ as the new apps for the week on the Apps segment of the show. She features Mobifliks, an app where users can watch local content for free, in the #CitiTrends 2-minute App Pitch Challenge. Mawuli Tsikata brings you up to date with the latest happenings in the world of technology on the Trending segment of the show.